Silk Nightgown - Few things feel more luxurious and indulgent than the touch and feel of silk on your skin. The ultimate in beautiful lingerie, every woman should have at least one at the ready in her lingerie drawer... and if you don’t, perhaps it's time to ask yourself, "why not?" Like all gorgeous nightgowns and sleepwear, the key to enjoyment is knowing the dos and dont's beforehand. To help you choose, we've gathered the top 5 mistakes and how to avoid them. 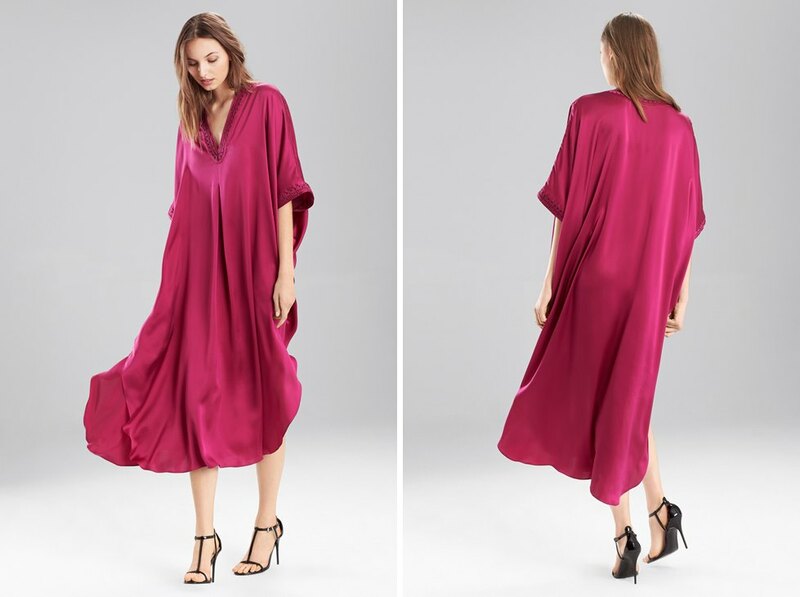 An anniversary or special evening is certainly fitting for a silk nightgown, but don’t make the mistake of letting it sit in your drawer the rest of the time. Give any day a celebratory feel when you slip your silk nightie on just for the fun of it. Wear it on a Tuesday, or any other day just because, and watch as your evening quickly goes from mundane to one of luxury and pampered lingerie pleasure. The selection of silk sleepwear that's available is stunning. There are endless options - different styles and lengths to suit virtually every silhouette, personal preference and occasion. Full figured women will look better in A-line styles that show a little skin with thigh high slits and plunging necklines. Large busts will need nighties with underwire cups to stay supported and stylish. Petites should opt for styles that create the illusion of curves, like embellishments on the bust or ruffles at the hips. Pay attention to what works and doesn’t work for your figure and choose accordingly. A natural fabric, silk is quite delicate. Think of a silk nighty as a treasure and treat it with special attention. This particular style of ladies sleepwear has the ability to make you feel sensual, special, and spoiled, so it must be treated with the respect that it deserves. Instead of shoving your silk lingerie to the back of your drawer, consider either hanging or folding it nicely so that it does not wrinkle or lose shape over time. Then , when it comes time for cleaning, hand wash in a mild detergent and lay flat to dry. Taking the time to care for your delicate intimate apparel means that it will last longer. Whatever your personal style, revel in your femininity and spoil yourself by stocking your lingerie collection with this luxurious pick. Silk comes in a variety of forms and knowing the differences can help you avoid choosing the wrong style for your body type. The best way to figure out which type of silk works for you is to try different nightgowns and see what makes you look and feel your best.